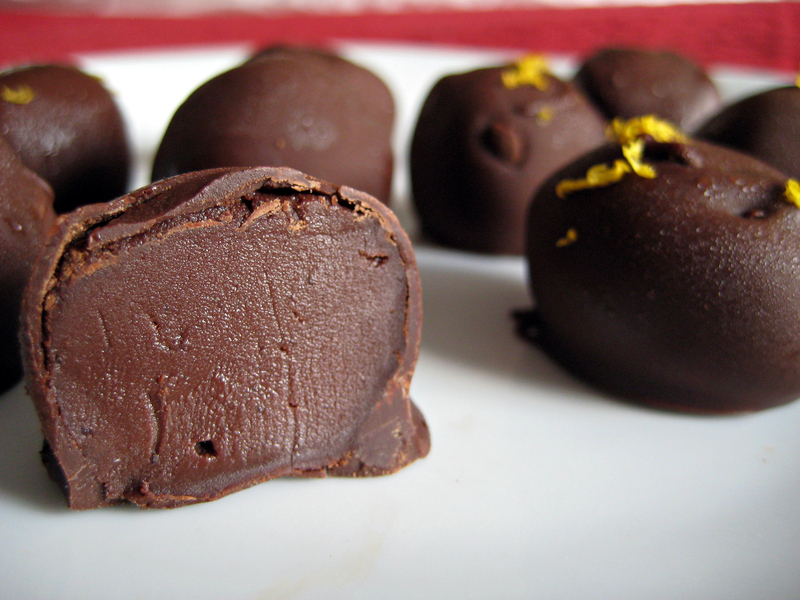 Easy to prepare, these chocolate truffles feature a smooth ganache filling, encased with a creamy chocolate coating. Use good quality chocolate for best results. Put the chocolate in a medium bowl. Put the coconut milk in a small saucepan. Bring to a simmer. Pour over the chocolate. Stir until all of the chocolate is melted. Stir in vanilla exact. Pour the mixture into a shallow bowl (such as a glass pie plate). Let cool to room temperature. Refrigerate at least 6 hours or over night, until firm. Line a cutting board or plate with waxed paper. Put the cocoa powder and icing sugar in a small bowl. Mix well. Use a melon baller or a small scoop to scoop the filling mixture into 1-inch balls, putting them into the cocoa mixture. Roll the balls between your palms to create a smooth, cohesive ball. Put the ball on the waxed paper. Repeat with the remaining mixture. Freeze the balls for at least 30 minutes. To coat the truffles, melt the chocolate and oil together in a double boiler or in the microwave. Let stand 5 minutes. Remove the balls from the freezer. Dip the balls in the melted chocolate, coating completely. Return to the waxed paper. Repeat with remaining balls. Freeze until completely firm, about 20 minutes, before storing. Store in the freezer or refrigerator.